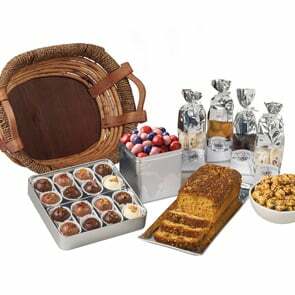 The Bountiful Gift Basket is really eight delicious gifts in one. A bounty of tasty, all-natural, fruit-laden treats fill our handsome woven gift basket. 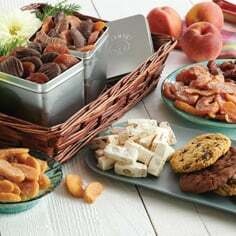 A generous gift for families, offices, or any fruit and chocolate lover. With these fruit and chocolate gift baskets there is something everyone will love! 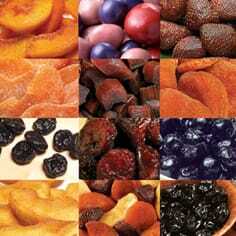 Find the perfect fruit and chocolate gift sets at Meduri World Delights today.